For one aspect of the ICEBERGS project, the team is seeking invertebrates from the bottom of the sea to collect biological data. Using the Agassiz trawl, a large net with a curved metal frame, we scour the sea floor looking for our cold-water creatures. Sea stars, brittle stars, sea squirts, and more! We are after these creatures to study glacial retreat, from some of the most pristine ecosystems on the planet. We deploy the trawl over the back of the ship using the A-frame to target our catch. As the net disappears into the gloomy depths, we wait as the trawl scrapes along the bottom. Many scientists wait patiently for the net to return with a bounty of creatures. Two members of our team recover the net, wash the mud away, and then it’s all hands on deck to sort and process the catch. These animals are remarkable in so many ways. They are all native (a similar sample taken anywhere else in the world would include non-native species, sometimes called ‘introductions’, ‘aliens’ or ‘exotics’) and virtually all of them can be found nowhere-else (they are endemic to the Southern Ocean). They tend to live life in the slow lane, growing slower and getting much older. 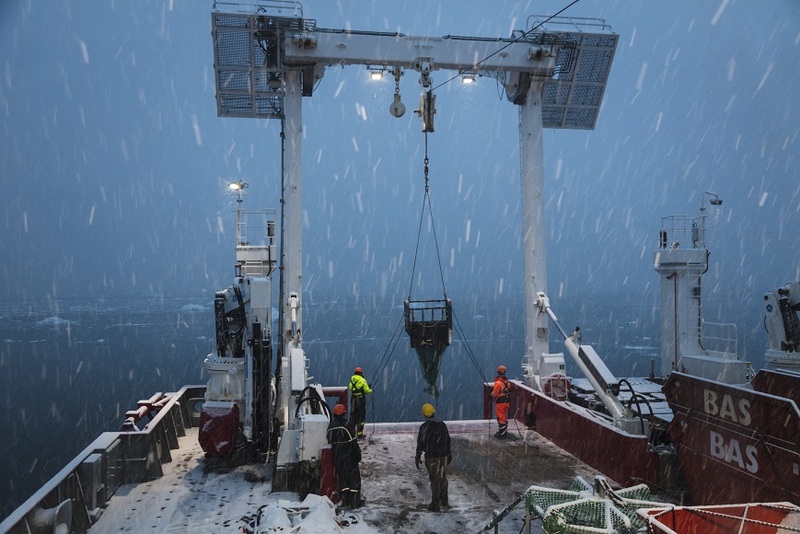 As the glaciers retreat they are colonising this newly available seabed – and bringing ecosystem services such as (capturing and storing carbon) with them. We are trying to measure the value of those ‘services’, because as West Antarctica loses ice it might be one of the largest negative feedbacks against climate change (Read more here http://onlinelibrary.wiley.com/doi/10.1111/gcb.13772/full). 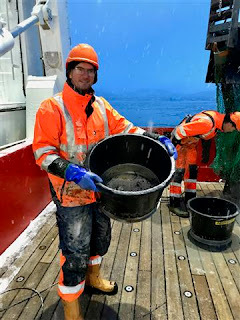 Trawl leader Dr. Chester Sands sieving up the catch. 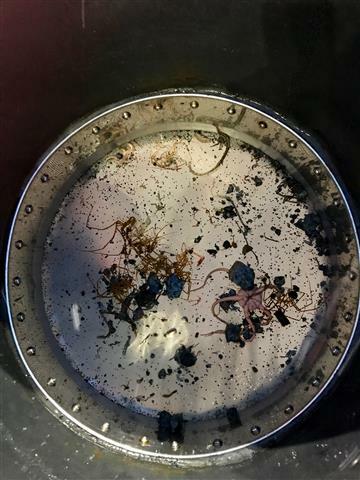 Meagre pickings on the trawl menu: worms, sea spiders and brittle stars.